New Delhi: Ghosi, Salempur, Ballia and Ghazipur parliamentary constituencies in Uttar Pradesh will vote in the seventh phase of Lok Sabha elections 2019 on May 19. The counting of votes will take place on May 23. Ghosi: The Ghosi Lok Sabha Constituency is currently represented by Harinarayan Rajbhar of BJP. In the 2014 Lok Sabha Elections, Harinarayan Rajbhar had defeated BSP’s Dara Singh Chauhan by bagging 36.50% per cent of the votes cast in this constituency. For 2019 Lok Sabha elections Congress has fielded Bal Krishna Chauhan and BSP-SP has nominated Atul Rai. 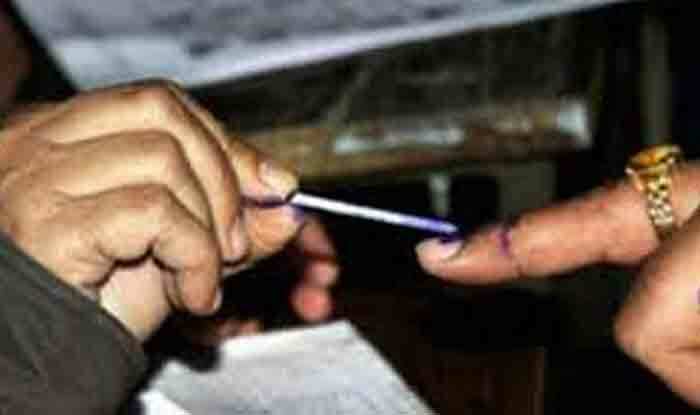 BJP is yet to declare nominee from the Lok Sabha seat of Ghosi. Salempur: Salempur is currently represented by BJP’s Ravindra Kushawaha. In 2014 Lok Sabha elections, Kushawaha had defeated BSP’s Ravi Shanker Singh. While Kushwaha had bagged a total of 3,92,213 votes, BSP candidate had got 1,59,871 votes only. For 2019 Lok Sabha elections, the Congress has fielded former MP Rajesh Misra while BSP has fielded RS Kushwaha from Salempur. The BJP has retained Ravindra Kushawaha. Ballia: Ballia Lok Sabha Constituency is currently held by BJP’s Bharat Singh of BJP. In the 2014 Lok Sabha Elections, Bharat Singh had defated SP’s Neeraj Shekhar by over 1,30,000 votes. For 2019 Lok Sabha elections, BJP has fielded Virendra Singh Mast. Congress and BSP-SP are yet to declare candidates from Ballia. Ghazipur: Ghazipur Lok Sabha seat is currently held by Bharatiya Janata Party’s (BJP) Manoj Sinha. He had bagged the total of 3,06,929 votes. Sinha had defeated Samajwadi Party’s Shivkanya Kushwaha. For 2019 Lok Sabha elections, while BJP has retained Sinha, Congress has fielded Ajit Pratap Kushwah. BSP-SP has fielded Afzal Ansari from the seat.